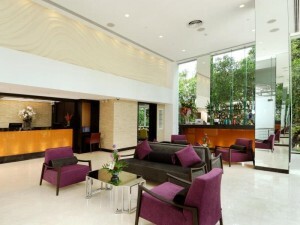 SilQ Bangkok Hotel is a small four star hotel on Sukhumvit Soi 19. 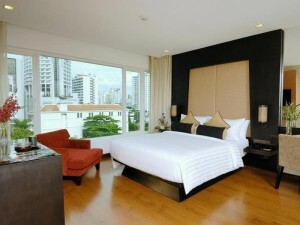 The hotel’s rooms are spacious and clean, with some rooms offering excellent views of the Asoke area. SilQ Bangkok is located directly behind Terminal 21 mall and is less than five minutes walk from Asoke BTS station, making it extremely convenient. Free Wi-Fi is available in all rooms and throughout the hotel’s common areas. A convenient four star option that’s close to public transportation and the bars on Soi Cowboy.